"Tan Safety Top Laser Checks" product is already in your cart. 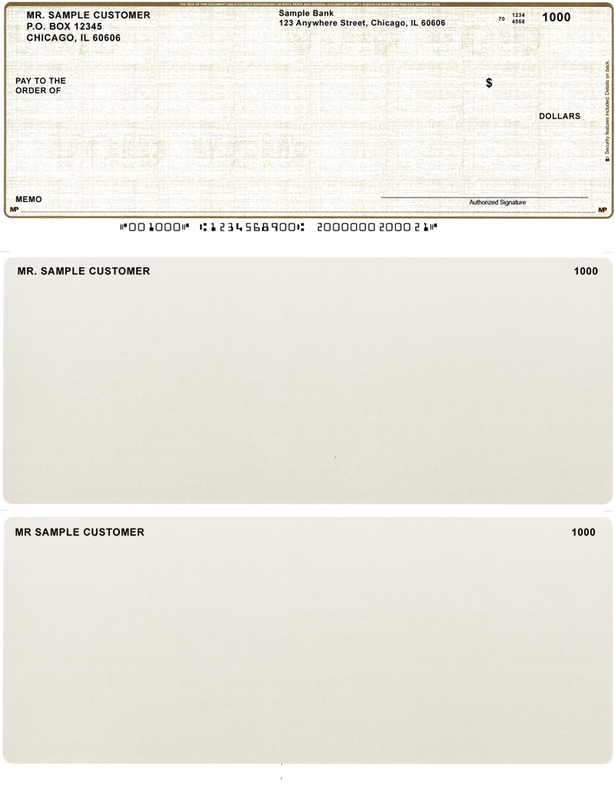 Standard security laser checks are sutiable to accommodate accounts payable, payroll, or general purpose.Record keeping is made easy with two perforated stubs. 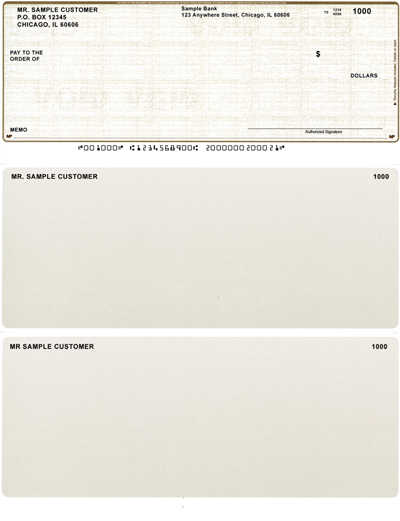 These checks are compatible with all Quickbooks, Quicken, Microsoft Money, and many more. All Checks meet and exceed specifications required by the American Bankers Association and can be used with your laser or inkjet printer. We do not charge you more when you reorder your checks from Bank Checks Now. Guard your personal checks from unauthorized use of up to $25,000 for only $.